Turn off the TV and tune into your own imagination. Enjoy each moment, allowing your creativity to unfold in the kitchen, craft space or in nature. 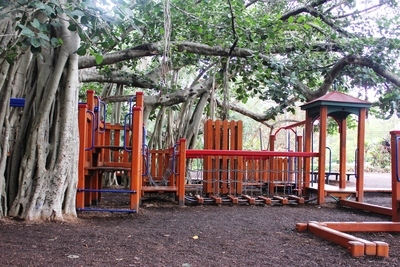 The Brisbane suburb of New Farm is a highly recommended place to spend the day with children. The leafy suburb is surrounded on three sides by the Brisbane River, making it most picturesque and easily accessible by either Citycat (the high speed ferry) or Cityhopper (the slow speed ferry), a free service operating every half hour from 6am - midnight. 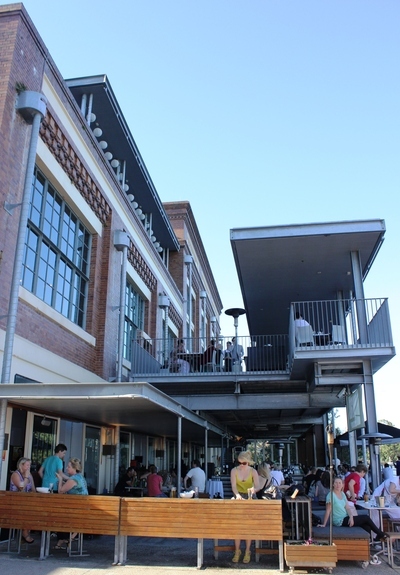 Here is a suggested itinerary for a day in New Farm with kids, beginning at Eagle Street Pier, in the city. Board the Citycat and disembark at New Farm Park (three stops downriver) - stand at the front of the ferry to feel like your flying along the river like a seagull. Heritage-listed New Farm Park covers 37 acres and has plenty of open space to run around, fly kites and of course smell the hundreds of prize roses on display. In spring, the famous Jacaranda trees are in flower, and kids will have a great time playing in all the purple flowers falling on the grass. There are lots of electric barbecues, and it's fun to take along a picnic (a very popular activity with the locals on weekends, so get there early). 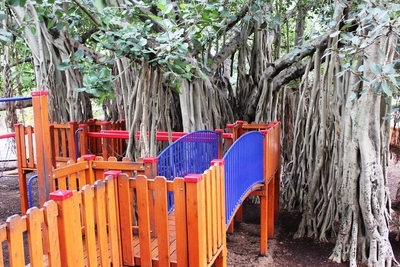 Children love New Farm Park playground, which is a series of wooden bridges and towers laid out beneath several giant Moreton Bay Fig Trees with mysterious roots hanging down to the ground. There are slides, swings, climbing webs and a strange dragon guarding its eggs, which is fun to climb on if you dare. There is a basic take away cafe by the playground, selling coffee, ice creams, biscuits etc. Wander through a little piece of Brisbane's history. The Powerhouse supplied electricity to a bustling tram system until 1971. Today, it is dedicated to arts and entertainment, with a constant program of creative artists and cultural exhibitions passing through. Watt Cafe/Bar is a good spot to take it all in while the kids play on the giant riverside sculpture - can you read the word it says? Located just a short stroll along Brunswick Street, this is the local shopping complex, with several excellent cafes to choose from and a good place to get supplies. 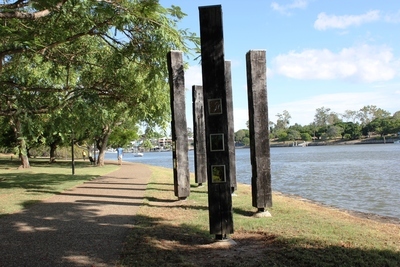 Wander back along Sydney Street, past all the traditional Queenslander cottages to this quiet riverside park. There is a playground and barbecues overlooking the boats, and you can play in the river sand and investigate the mangroves. There are bikes to hire here (and all through New Farm) and the designated bike tracks are a great way to explore the area (from here you can actually cycle all the way along the river to Hamilton). 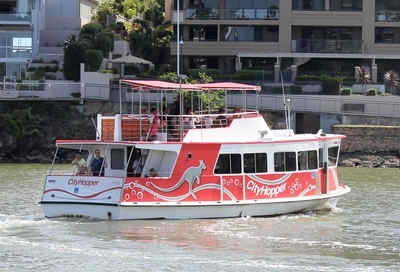 Finish the day with a FREE ride on the Cityhopper Ferry and enjoy a slow journey upriver back to Eagle Street Pier.